Our friends at VMware continue to outdo themselves. The latest release of Fusion works so well with Windows Server 2013 that even I can’t screw it up. 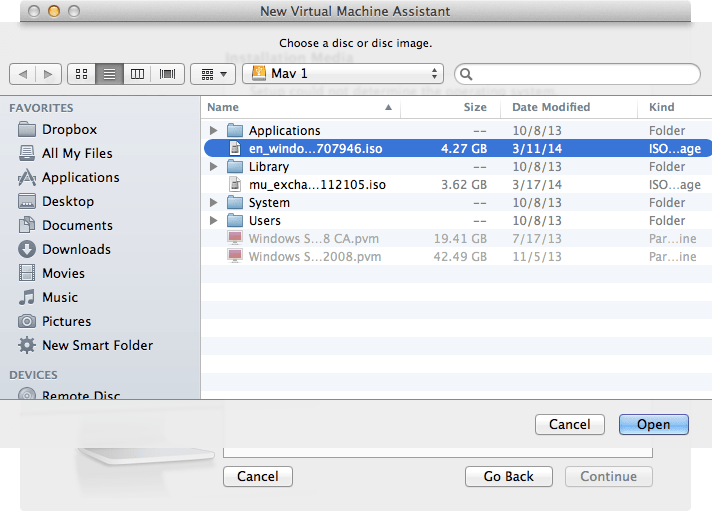 To create a virtual machine, simply open VMware Fusion and click New from the File menu. Click “Choose a disc or disc image.” Select your iso for Server 2012 and click on Open (if you have actual optical media it should have skipped this step and automatically sensed your installation media). 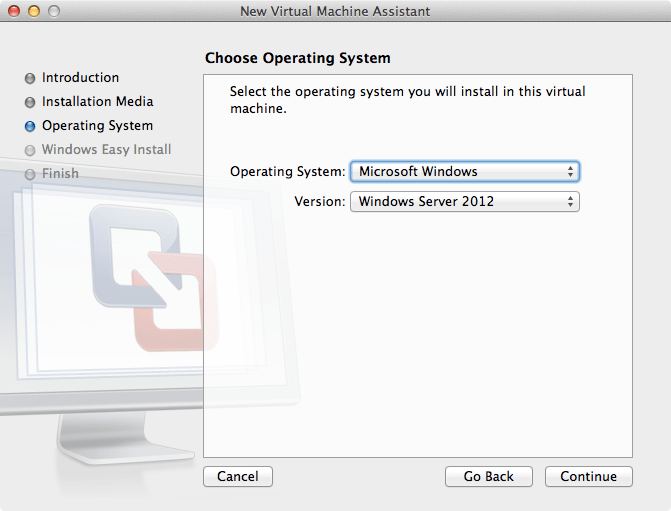 Click Continue back at the New Virtual Machine Assistant screen. Click Continue when the Assistant properly shows the operating system and version. 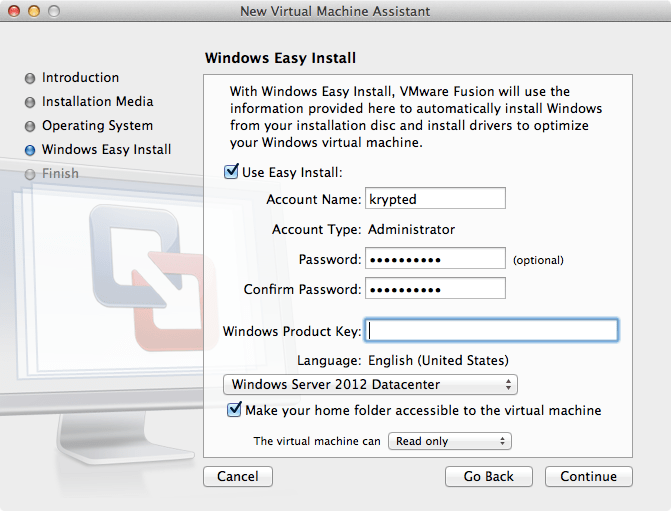 Enter a username, password and serial number for Windows Server if you want Fusion to create these things automatically and just complete an installation. If not, uncheck Easy Install (but seriously, who doesn’t like easy). 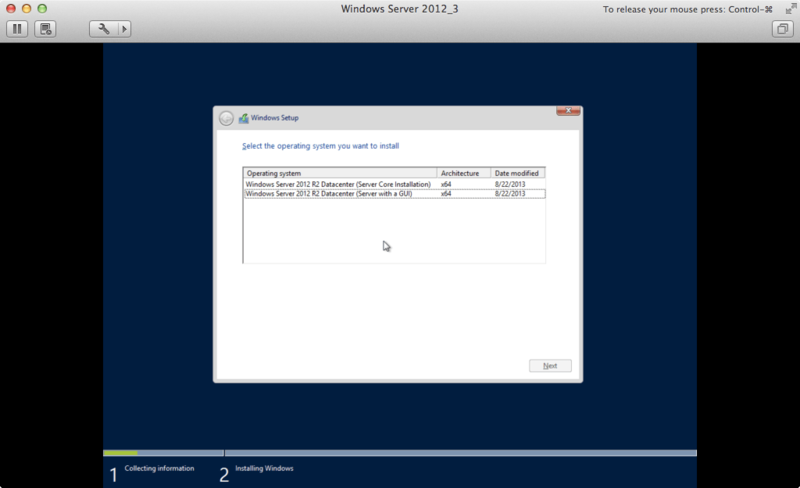 Also, choose the version of Windows Server (note that there’s no GUI with the Core options). Click Continue. 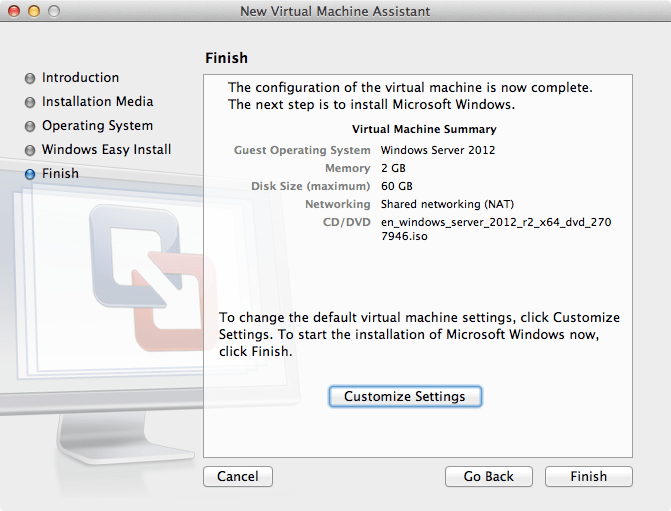 At the Finish screen, you can click Customize Settings if you would like to give the new virtual machine more memory or disk. Otherwise, just click Finish. 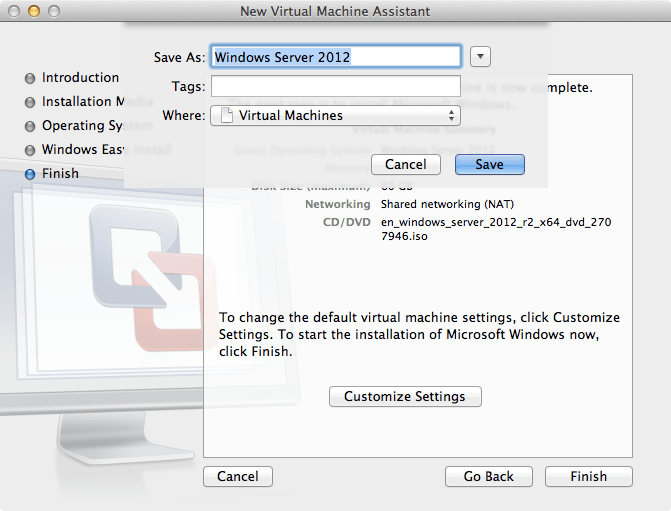 When prompted, choose where the new virtual machine will live and click Save. 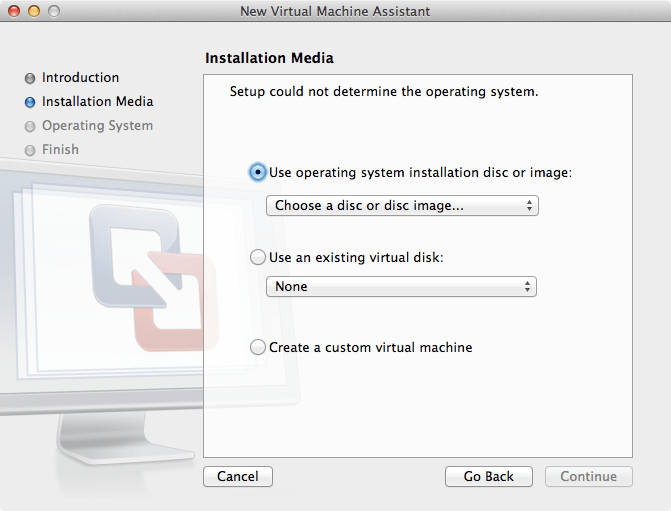 The VM then boots into the Setup is starting screen. You will be prompted for a Core vs. a GUI install (I know, you picked that earlier). I choose a GUI, then click Next. When the setup is complete, login, run Software Update and you’re done!